As set out in a previous post here, the local Federalist Society hosted a discussion of the pending North Carolina voter I.D. law which is an attempt to make sure the person in the voting booth is who they say they are. I attended the sometime testy discussion, as did Barry Smith, a reporter for Carolina Journal Online (CJO), who filed an report of the event, "Voter ID Under Microscope At Raleigh Forum"
Who is in that voting booth? Is adopting a law requiring photo identification for North Carolinians to vote a common sense solution to voter fraud that has become – unnecessarily – highly politicized? Or is it an effort that would put an undue burden on North Carolinian's’ right to vote, a burden that would disproportionately affect the poor and minorities? Both views were put forth Wednesday during a panel discussion on voter ID sponsored by the Raleigh Lawyers Chapter of the Federalist Society. 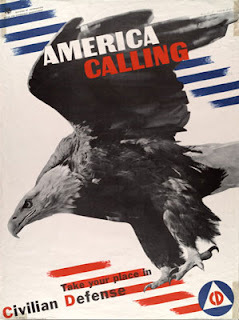 Two proponents of voter ID laws – John Fund and Hans von Spakovsky – took the position that such laws protect the integrity of the ballot and do not pose an undue burden on a citizen’s right to vote. Two opponents of such laws – Bob Hall and Allison Riggs – disagreed, questioning the need for such a law and arguing that it, along with other changes to voting laws, would make voting less accessible. Von Spakovsky and Fund argued facts, often referring to the situation following Georgia's passage and implementation of a voter ID law (minority participation up in subsequent years) and questioning the assertions of Hall and Riggs that the law would exclude certain classes of people. As mentioned in the CJO piece, Hall went on a little trip down memory lane back to the bad old days of the 1960's (I think) when the exclusion of black voters at the hands of the majority Democratic Party affiliated local governments was a disgrace. 50 years later- well, Mr. Hall's best argument was that most voting fraud occurs in absentee balloting and that he was unclear on how a voter ID law would change that. That is a very good question. 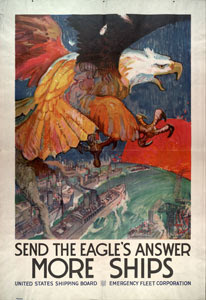 Ms. Riggs disputed some of the statistics cited by Fund and von Spakovsky and kept arguing that a law that required citizens to have to travel up to 90 miles round trip to the place to get a valid voter ID was unduly burdensome on the poor and etc. All of which prompted me to wonder why the organizations fighting voter ID so hard are not out there spending money and time to make sure each voter living so far from his or her local elections office is not provided with transportation and assistance to get the documents needed to get a voter ID (like birth certificate, for example). Mr. Hall suggested at one point some sort of polling are "affidavit" in lieu of voter ID in which a person would swear under oath they are who they say they are. Now, let's see, I come into vote fraudulently in the name of a dead person (for example) - and then, falsely swear that I am that dead person so that I can vote. How on earth are we going to track down who was that person committing the fraud? Seems like a bad idea to me. Mr. Fund suggested that mandating voter ID was actually doing a "favor" those who currently lack a photo ID since it could open up the world of travel, access to government buildings, bank accounts and government services that require such an ID. I kept wondering how a plaintiff who lacked an ID could get into a federal courthouse for a hearing since all courthouses now seem to require a photo ID (as do most state courthouse, too) which may explain why such plaintiffs are hard to find. It all continues to point out the difficult balancing act between the state's power to set the rules on voting (there is no federal voting "right")to insure voting integrity (one living person, one vote, one time per election) and insuring that all eligible voters can cast votes. Ms. Riggs used the term "cost-benefit" during her time in favor of fewer controls (as in "too little fraud to justify this "high cost" effort to mandate IDs") - which was countered by a member of the audience suggesting that the countering of legitimate votes by fraudulent votes was also destructive to the "right to vote." 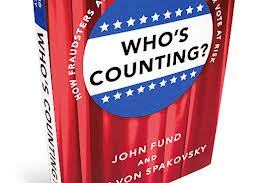 John Fund and Hans von Spakovsky have a book on voting issues Who's Counting? 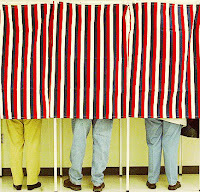 : How Fraudsters and Bureaucrats Put Your Vote at Risk.